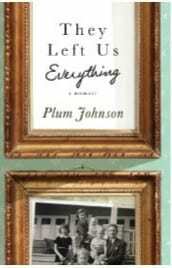 Today I am reviewing a booked written by Plum Johnson, They Left Us Everything a memoir. She is a Canadian author from Oakville, Ontario. 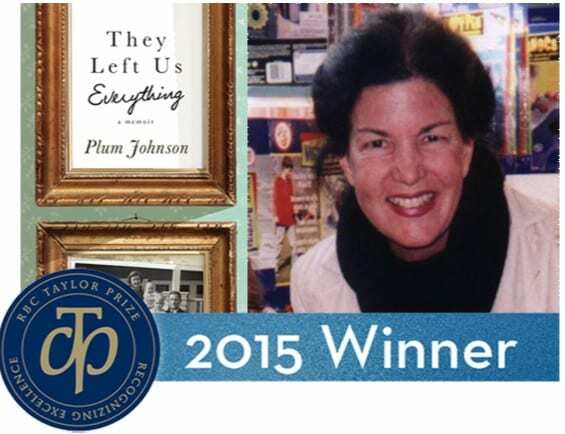 It is an easy to read , novel style story about her experience emptying her parent’s home. Once you start reading it you become engaged in the story and can’t put the book down. It takes you on a roller coaster of emotions: sad, humorous, happy and thoughtful. when to sell the home. This book takes the reader through the many pitfalls and solutions that Plum and her siblings discover to solve these difficult situations. One of my favourite parts of the book is the chapter on how they divide up their parents’ possessions between the 4 siblings . Plum has made an annotated inventory list complete with photographs, 422 items, 8 pages long. There are two categories; one for all the furnishings that have been appraised and priced and one for historical items that were considered priceless. They take turns picking things off the list until everything is gone. It is very interesting to read the how the process goes, who selects which items and why, and how competitive they can be during this process. 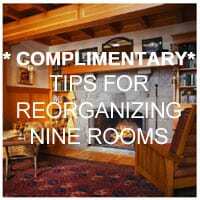 Post a comment about the part of the book you liked best or a tip to make clearing an estate easier.